An AVA Gift Certificate is the perfect way to celebrate the arts with your friends and family. Redeemable for any class and available in any amount, an AVA Gift Certificate offers a dazzling array of inspired options to the recipient. 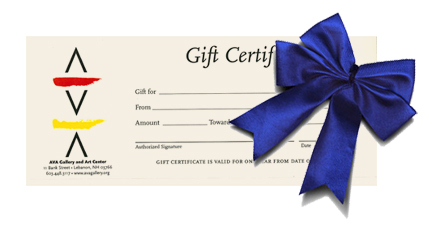 Gift Certificates may also be applied to memberships or toward the cost of acquiring a favorite work of art.